Northamptonshire pace bowler Olly Stone has signed a new deal with the club. The 21-year-old from Norfolk - who has come up through the ranks at the Wantage Road - has agreed to extend his contract until the end of next summer. Head coach David Ripley said, “It’s great news to have Olly commit to us for another season. “He is a graduate of the club’s Academy and a player we hope to see here for a long time. “He has had a good winter and has started the season well. 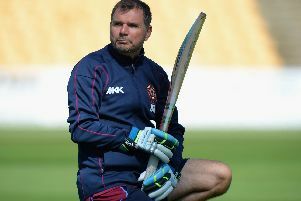 Stone added: “I am delighted to be part of the Northants squad for the next two seasons. “We have an amazing summer ahead of us. I feel in good form and am really looking forward to the next few matches. “There is some great talent in the changing-room and it’s great to be part of it.